Close My Eyes begins with Gen and Art’s appointment with Mr Tamansini at the fertility clinic. They’ve been through IVF six times and Gen really doesn’t want to go through it again. She just can’t handle the hope. We get to know how Gen still feels about stillborn Beth. 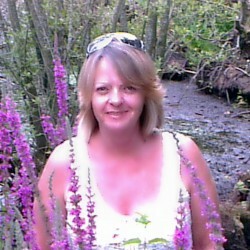 Art is successful in the business world with Loxley Benson and TV appearances on The Trials. He is driven and gets what he wants. Gen is just getting through her days – not fully engaging with anyone or anything. We get to know their background … how they met. After Lucy O’Donnell drops her bombshell, we meet Gen’s best friend Hen shortly followed by Morgan who is Art’s half-sister. At Art’s 40th birthday party, we get to meet Lorcan who was fired from Loxley Benson in the early days for misconduct. With all our main characters in place and Gen motivated to find out more about Beth’s death, we’re taken through a psychological journey of suspense, mystery and intrigue. The characters are brilliant. You get a real sense of what motivates them. Even with the narration from Gen’s point of view the characters come alive. Every time I thought I had worked it out, a few pages later the author gave extra information that meant it couldn’t possibly be what I thought it was! I also couldn’t work out is the brief interludes interspersed through the story. Why were they there? Where did they fit into the whole? Very, very, clever and so much more significant than I thought. There are quite a few tense and harrowing scenes and twists and turns which move the plot along and there’s not one place I felt I could put the book down to be picked up at a later date. This is a story you will just want to keep on reading! 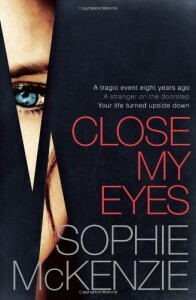 Close My Eyes is a psychological thriller that you will empathise with and become so caught up in that while you’re reading, this IS your reality.